If you have a passion for fashion and would like to take it further maybe by entering the fashion world, then it’s time you joined a fashion school. There are so many top ranked fashion schools that offer fashion courses online and in campus. Fashion programs give students exposure in fields such as apparel designing, marketing and merchandising. Most schools offer these courses at competitive rates. You can do a background check on a school to see the quality of the programs it offers, how cost-effective its tuition is, student- teacher ratio and other factors that may be of importance to you. Fashion graduates may work as retail supervisors, designers, researchers or marketers. Fashion Institute of Technology is one of the best and affordable fashion schools in New York where you can study for your associate degree, undergraduate majors and graduate degree. The school offers quite a number of bachelor’s programs including Accessories Design, Cosmetics and Fragrance Marketing, Fashion Design, Jewelry Design, Fabrics Styling, Menswear, Fashion Business Management and Textile / Surface Design. Enrolling into a Master’s program grants students the opportunity to interact and form professional networks with leaders in the industry. The programs include Global Fashion Management, Exhibition Design, Fashion and Textile Studies: History, Theory Museum Practice and Cosmetics & Fragrance Marketing and Management. The school also offers both credit and non-credit courses such as Cosmetics and Fragrance Marketing, Jewelry Design, Certified Technical Designer, Wardrobe Technician and Costume Design Specialist and Fashion Events Planning. FIT is accredited by the National Association of Schools of Art and Design (NASAD). Iowa State University is the school of choice for students who want to study fashion in one of the best and affordable schools in the country. The university offers Bachelor of Science with a major in Apparel, Merchandising and Design (AMD). The degree requires for students to complete 123 credits. The coursework for the AMD degree includes critical thinking and communication, conflict management, principles of statistics, dress and diversity in society, history of European and North American dress, product development and manufacturing, sourcing and global issues, apparel assembly processes and much more. Students who select the design option may choose a concentration from Creative Design Technical Design, Product Development and Production and Sourcing Management. The school also offers graduate studies in AMD which explore customer buying behavior, outsourcing and sustainability. 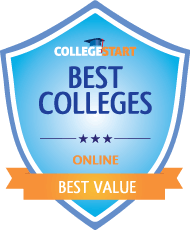 Iowa State University is accredited by the Higher Learning Commission of the North Central Association of Colleges and Schools (HLC-NCACS). Texas Tech University is a great place to study for your fashion degree if you are looking for a top yet affordable fashion school. The school offers Bachelor of Science in Apparel Design and Manufacturing, a degree that is accredited by the National Association of Schools of Art and Design (NASAD). Students who enroll into the program get mentorship from their lecturers and the academic foundation to begin their designing career. They learn theory and practical techniques in Pattern Making, Production Methods, Product Development, Fashion Illustration and Trend Analysis. The degree entails an internship of not less than 370 hours. The curriculum is rigorous and incorporates retailing, marketing, fashion design and accounting. Students will have the opportunity to exhibit their creations in the school’s fashion shows and also regional shows such as the Denim Runway Project. Those who successfully complete the program may go on to work as illustrators, fashion designers, fashion merchandisers, pattern makers, stylists and technical designers. The University of North Texas, through the College of Visual Arts and Design, offers undergraduate and graduate programs in fashion Design. The university is one of the leading and affordable fashion schools in the country. The curriculum gives students the knowledge to transform their design ideas to finished products. Fashion design students will get the opportunity to present their creations at well-known events such as The Hispanic Association of Colleges and Universities and Gap Inc.’s Design Your Future competition as well as the Fashion Group International’s Career Day in Dallas. You get the best education and learning experience from faculty who are well established in the fashion industry. Some of them are exhibitions’ jurors and fashion designers. Students may also find internships at leading fashion houses within the state and in other fashion capitals nationwide. The College of Visual Arts and Design is accredited by the National Association of Schools of Art and Design (NASAD). Purdue University offers Bachelor of Science in retail management, through the College of Health and Human Sciences. The school gives students whose passion is fashion design the opportunity to earn the academic credentials that will kick start their careers. You may enroll for a one year AAS in Fashion Merchandise Management at the Fashion Institute of Technology and a BS in Retail Management at Purdue University to get the academic qualification you need to venture into the fashion business. It will take you 4 years to complete both degrees. The Coursework covers topics such as accounting, textile science, retail management, consumer behavior, economics, virtual merchandising, business communication, introduction to apparel industry, marketing and history of fashion and historic costume. Graduate of the retail management program may work in the fashion industry as buyers or assistant buyers, inventory analysts, merchandising leaders and entrepreneurs. Purdue University is accredited by the Higher Learning Commission (HLC). Kent University’s Fashion School is one of the best and most affordable fashion schools in the country. It offers two degree programs; Bachelor of Arts in Fashion Design and Bachelor of Fine Arts in Fashion Design. In both degrees, students learn all the aspects of the design process including design, color and trend research, pattern making, technical sketching, garment construction and fabric selection. The program teaches students competency and innovativeness that is needed to make it in the fashion design industry. The curriculum taught is a combination of both degree programs but as students advance to senior year, they are required to choose one program that they’d wish to pursue. Qualifying students may enroll for a Bachelor of Science in Fashion Merchandising and Master of Business Administration combination with a concentration in Fashion Design and Merchandising. Students who’ve completed their sophomore high school year and are passionate about fashion may attend the summer fashion school academy. Kent State University is accredited by the Higher Learning Commission (HLC). University of Cincinnati gives fashion design enthusiasts the opportunity to study for a bachelor of science in fashion design degree. Students who’ve successfully enrolled into the program may choose one of two concentrations during their third year of school. These concentrations are Realization and Development. The Realization concentration entails design and construction of garments and how the garments fit the body. The Development concentration is about research and trend analysis that students may use to design and create new fashion lines. Students learn conceptualization, sketching, pattern-making, sewing and garment production skills. They are expected to take part in the Cooperative Education program which gives the students a practical experience. The program begins in the second year. Students’ resumes after graduation will indicate the experience they gained during the five semester of the Cooperative Education Program. The University of Cincinnati is accredited by the Higher Learning Commission (HLC). The Massachusetts College of Art and Design is one of the best fashion schools to attend if you are looking for affordable schools with quality education. The fashion design program explores the tools, processes and techniques used in developing designs. Students learn 2D and 3D designs, flat patterns, hand drawings and finished garments. They also learn the business aspects of manufacturing, apparel marketing and procedures involved in production. The curriculum covers design in its entirety, fashion history and different ways in which aesthetic and cultural trends combine and impact the fashion world. Students will have the best learning experience from classrooms and studio practice to internships and international travel. They are trained to express their ideas and visions when it comes to design and to create products that reflect the same viewpoint. The college is accredited by the New England Association of Schools and Colleges (NEASC) and the National Association of Schools of Art and Design (NASAD). The Montclair State University offers Bachelor of Arts degree with a major and minor in Fashion Studies and is one of the most affordable and best fashion schools in the United States. The degree program is taught through the College of Arts and is designed to give students insight into consumer needs and how the needs are met by the fashion industry. Students are required to complete 82 semester hours in the Fashion Studies major. The entire curriculum comprises of core courses, internship course and electives. Some of the courses taught include Apparel Design, Consumer Behavior, International Retailing, Evaluating Apparel Quality, Textile Design, 2D and 3D designs and Figure Drawing. Those taking a minor in Fashion Studies will need to complete 18 semester hours. The program is open to everyone from freshmen to transfer students and students seeking readmission. Montclair State University is accredited by the Commission on Higher Education of the Middle States Association of Colleges and Schools (CHEMSACS). University of Delaware is one of the top fashion schools in the country with undergraduate and graduate programs in Fashion and Apparel Studies. There are two undergraduate majors that students may choose to pursue. These are Fashion Merchandising and Apparel Design. Fashion Merchandising focuses on planning, sourcing, development and distribution of fashion items in the fashion industry worldwide. In the Apparel Design program, students are taught how to research and analyze trends, create technical and fashion illustrations and create solutions to design and development problems in the fashion industry. Successful graduates may begin their careers as Design Consultants, CAD system managers, fashion forecasters, textile innovators or other professionals in the industry. Students who are studying the Apparel Design and Fashion Merchandising program acquire a wealth of knowledge and great academic experience through research opportunities, study abroad events, scholarship opportunities and award programs. University of Delaware is accredited by the Middle States Association of Colleges and Schools (MSACS).